LaTanya White is the author of Becoming Fearless & Pivot. Contact her here! Angelica Roberts is the author of Vendetta. Contact her here! 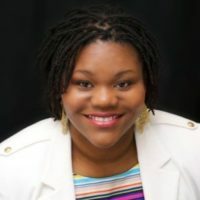 Shimoqua Thomas is the author of Who has Time for Hugs?. Contact her here! Aimee Schmitt is the author of the Ultimate Swi log & Goal Planner. Contact her here! Martrenia Howard is the author of Adjust my Crown. Contact her here! 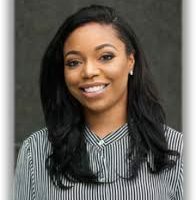 Daphney Maurisseau Carter is the author of I am a Doctor book series, and Founder of I Can Be FND. Contact her here! Andre Cooke is the author of 6 Keys to Professional Happiness. Minerva Maria Jackson is the author of the Speak Up series of books. Contact her here! Dr. Felicia Williams McGowan is the author of the Hattie’s Journey collection of books. Contact her here! Ormena Ukpu is the author of the Way of the Creed series. Contact him here! Shanley McCray is the author of Choosing to Decide and Words Every Professional Should Know. Contact her here! Dr. Katina Davis-Kennedy is the author of Let’s Talk STD’s. Contact her here! Nikkie Pryce is the author of Dreamers, Take Action. Contact her here! iboro Udoh is the author of Ignite. Contact her here! Dr. Noah Johnson is the author of Don’t Call me Dumb. Contact him here! Alma Ramnanan is the author of The Sergeant Family. Contact her here!